They always take a back seat in the produce aisle. The jubilee over apples goes on for months.. but the lowly pears seems to get shunned. Feelwellfood.com is here to change that. The pear has the same properties in nutrition as the apple. Sweet with a distinctive grittiness that makes for high fiber. Possess copper, iron and manganese, a B complex vitamin We have 2 reasons to celebrate this month of October and November- Apples and Pears. Why? These fruits have the highest fiber around for fruits, due to the insoluble fiber which is also great for Diabetics too. They are a good addition to any meal as a piece of fresh fruit serving with it’s blood sugar lowering ability. 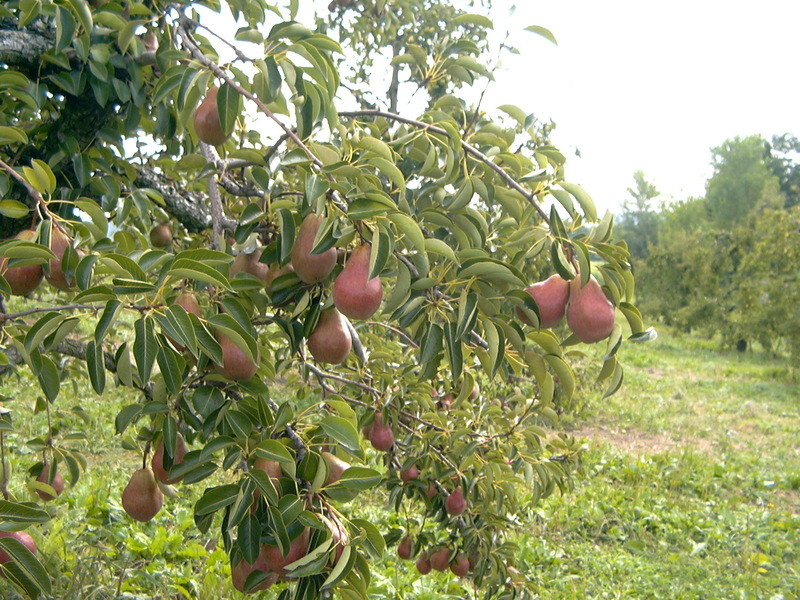 Pears are exceptional for the phytochemicals and fiber combined in the skin of the fruit! Pears contain hydroxycinnamic acid, which is found in the pear skin. Studies have shown that this polyphenol might lower risk of stomach cancer. Pears have no sodium, and higher pectin levels than apples- good for the skin! Glycemic index rating 38. (as in 100 being the highest for raising blood sugar) Insoluble fiber helps healthy bacteria stifle the production of bad bacteria and carries it out of the gut. Use pears in substitute or combo with apples in cakes and pies.